It's long been argued that perfection is impossible, but for Cristiano Ronaldo it's a pursuit that envelops every aspect of his life, whether on the football pitch, in his personal life, or in his business interests. 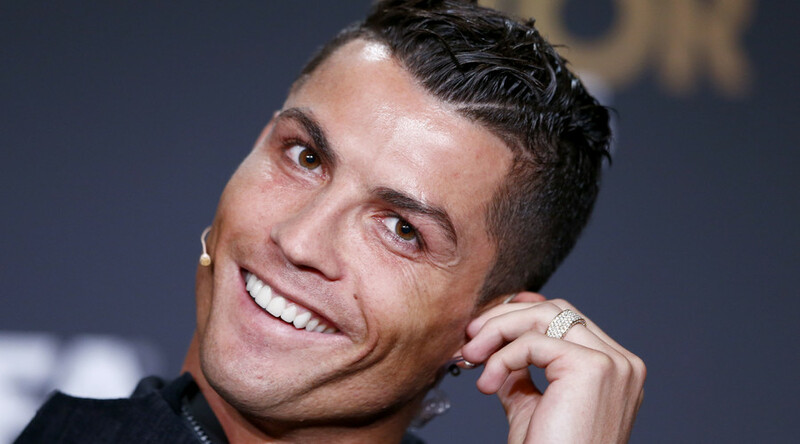 As the third-highest-paid athlete in the world, Ronaldo – whose annual earnings were recently valued at $80 million by Forbes - enjoys lucrative endorsement deals with the likes of Nike and Armani, along with his ever-developing CR7 business lines. His quest for perfection was shown by GQ magazine, who gave a fascinating look at what makes Ronaldo tick with their coverage of TAG day - a day on which he earned a cool $1 million from his TAG Heuer endorsement. Ronaldo offered insights into family life, love and a possible future in Major League Soccer in the US, but it was his simplistic summing up of his footballing abilities that showed where his current focus lies. "I'm a very direct player - I like to run at defenders with the ball, and I like to score goals," he said. With 340 goals in 326 appearances for Real Madrid, it would be fair to say that was something of an understatement. Yet even with such staggering figures to prove his worth, Ronaldo's hunt for perfection is perhaps most defined by his quest to be viewed as the best footballer on the planet. Unfortunately for him there's the not inconsiderable talent of Lionel Messi to contend with. His joke at the recent Ballon d'Or ceremony that Messi owed him for services rendered after he acted as a translator for his rival may have been a slight cooling in their previously heated rivalry, but seeing the Argentine claim the title of world's best footballer for the fifth time can't have been easy. For every statistic Ronaldo registers, Messi acts as constant reminder that perfection can be an elusive master. A record 340 goals for Real Madrid? Messi has 351 for Barcelona during the same period. Ronaldo’s 241 La Liga goals? Messi has 242. While Ronaldo currently holds the all-time Champions League scoring record - 88 goals to Messi's 79 - it's likely that history will be unable to separate these two wonderful footballers. Where that would fit with Ronaldo's 'perfect' vision for himself only he could answer, but it isn't one which seems to be unduly concerning him as he looks to the future. "There is another life after football," he said. "You can say you have the best job, money, cars, houses - but that is not everything. "But after football I want to live like a king. I've become the person I am today because of the time I spent without my family and going through difficult times." “Living like a king” may well be just reward for his efforts on the field, but his mention of family shows his pursuit for perfection is driven by some very grounded personal values.